After creating your new ADLS, open Data Explorer, then the “Access” button on the root folder. 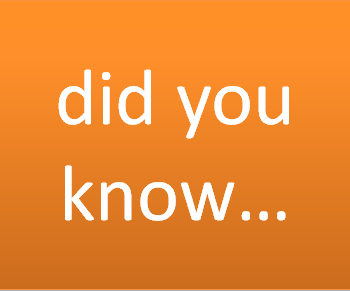 Afterwards, click the “Add” button to select the same identity that has access to the original ADLS and has the credentials configured in your core-site.xml file. Select the adequate permissions. 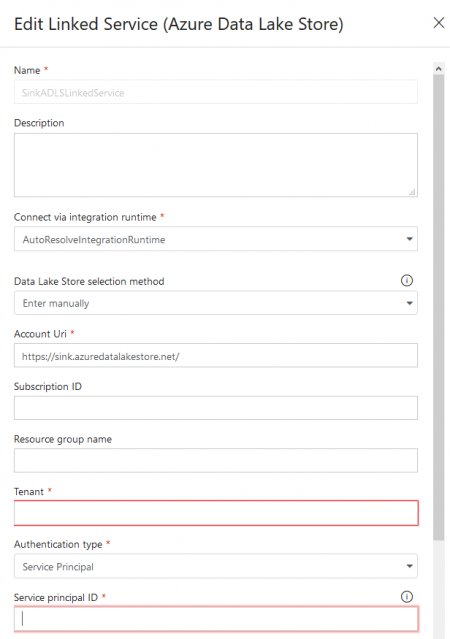 I won’t get into much more detail since there are several tutorials out there about ADF, just make sure you create 2 linked services, 2 data sets and your pipeline with a simple copy activity. 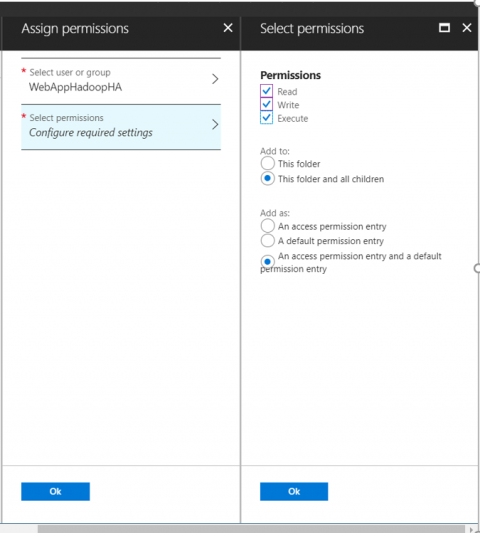 If you need to give rwx permissions to other users on your /tmp folder you can use an hdfs command or Azure Portal to do that. We recommend to use the hdfs dfs -setfacl command because it gives you more flexibility, just make sure to give owner access in ADLS IAM tab to your Hadoop user. 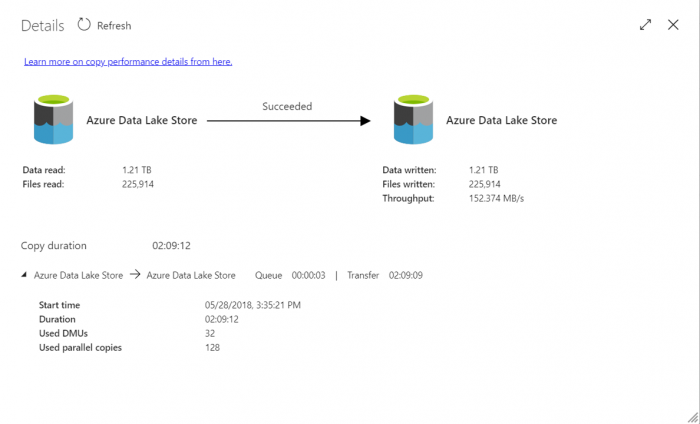 We’ve tried to use DistCp with all the tuning options and permissions preservation, and it created a perfect copy, however the performance was very poor with almost 14 hours of backup for 1.2TB of data. We believe it is because we have very small files (we use ORC tables in hive with partitioning) and we have a very complex folder structure that does not help in MR jobs.